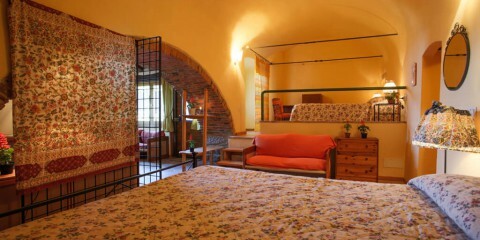 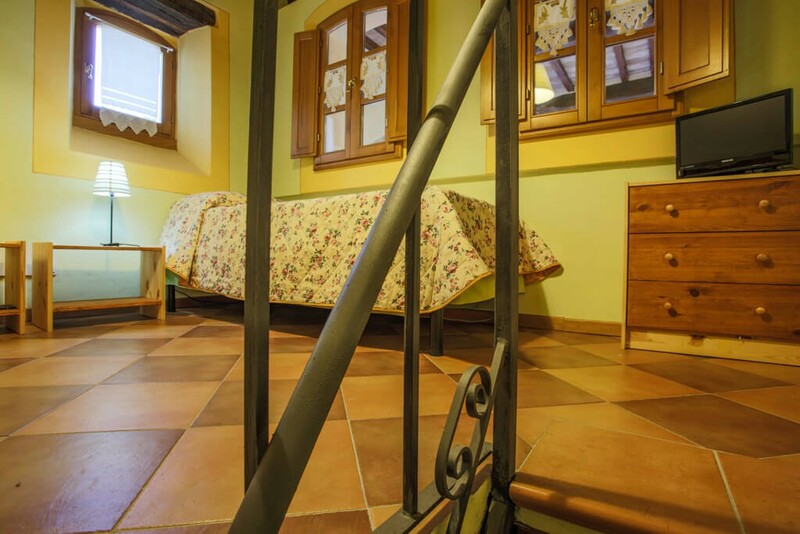 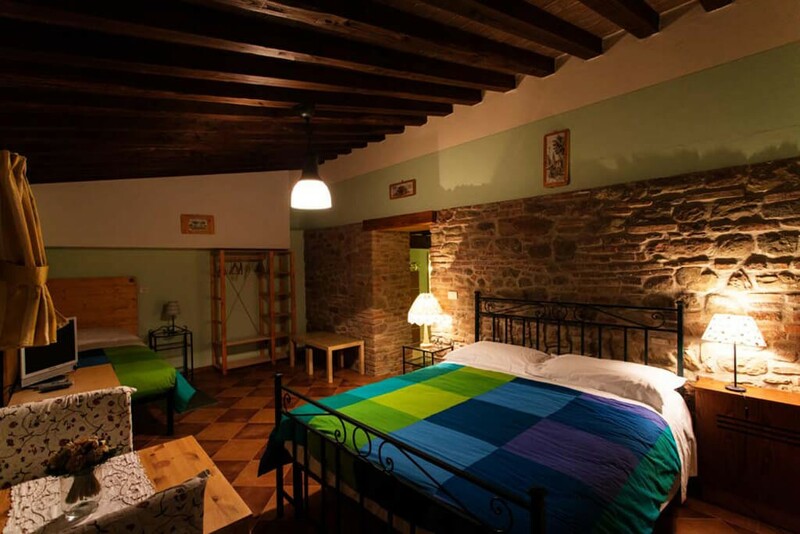 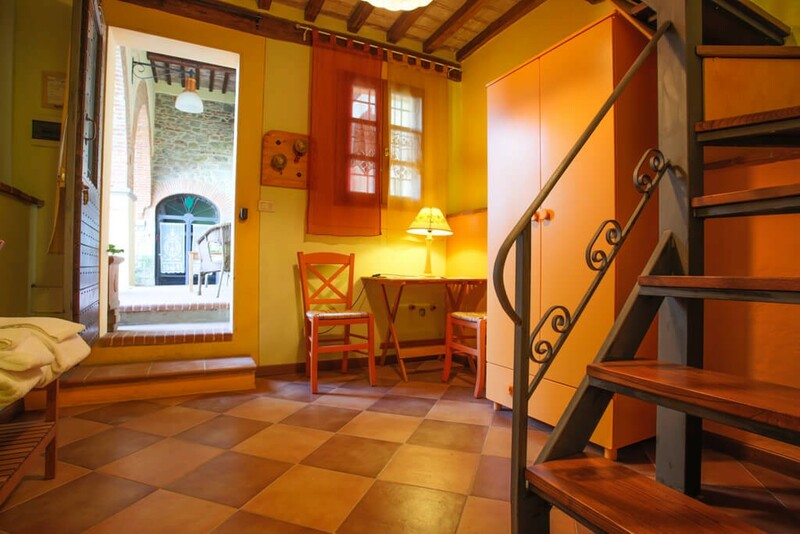 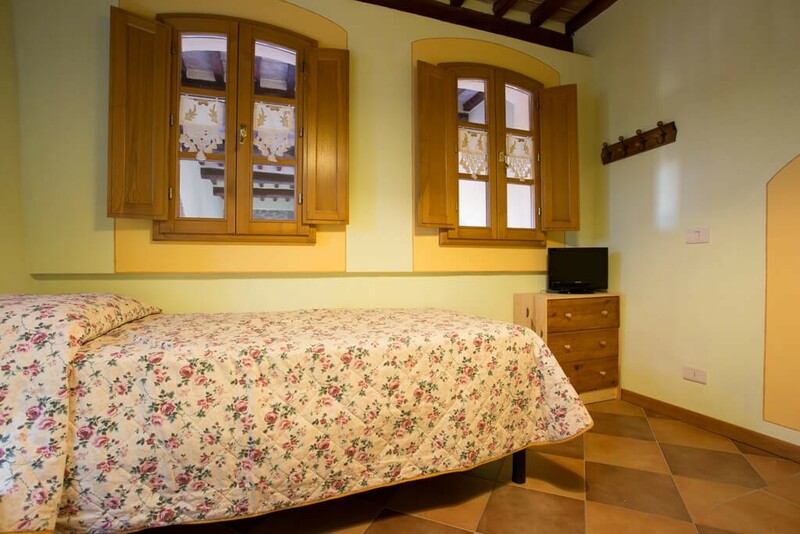 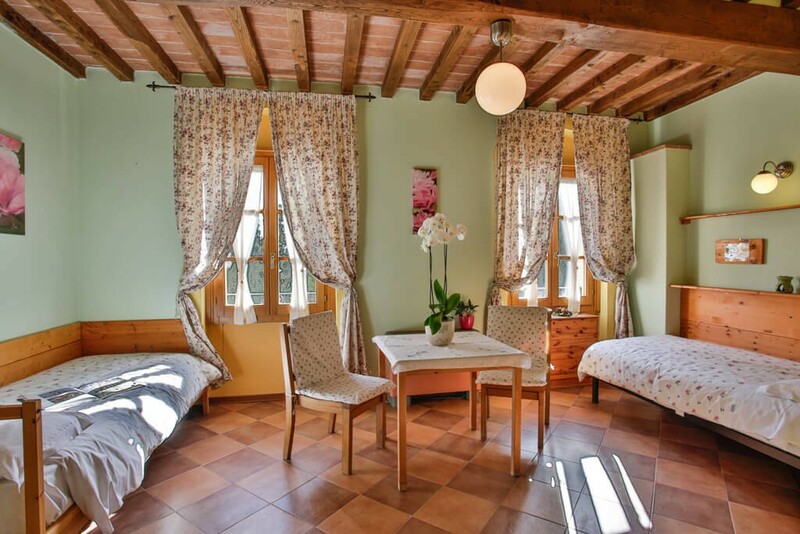 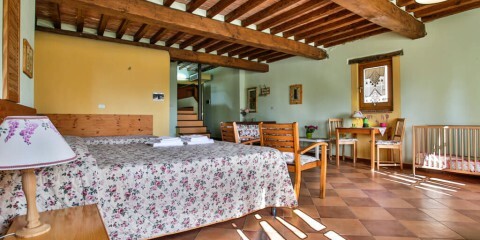 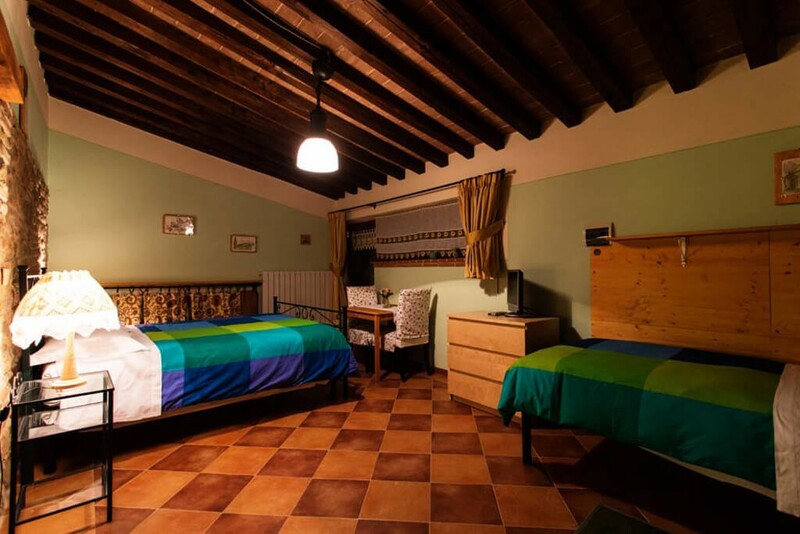 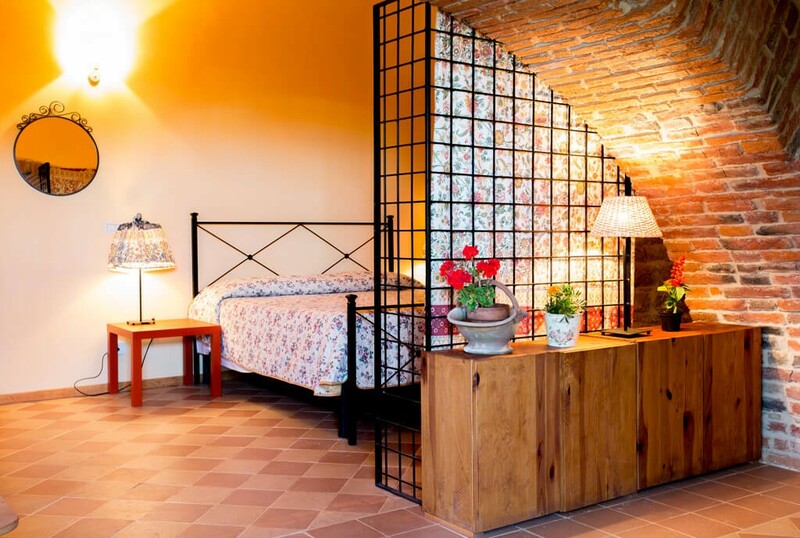 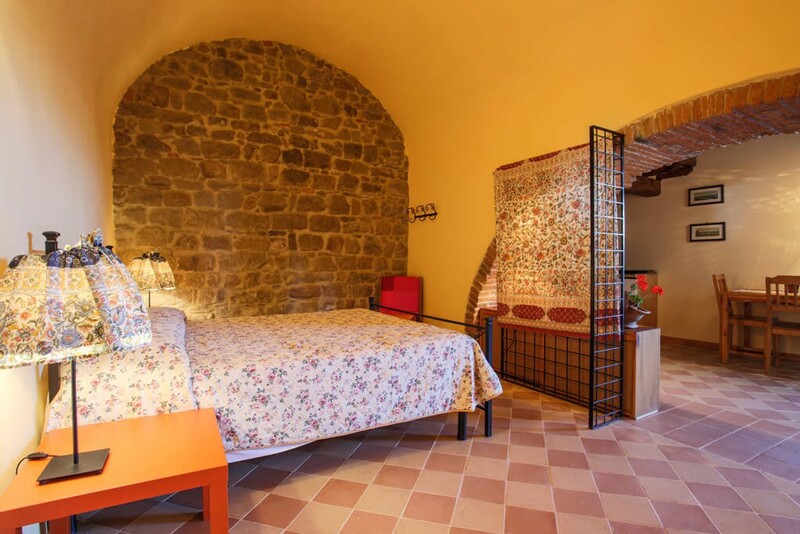 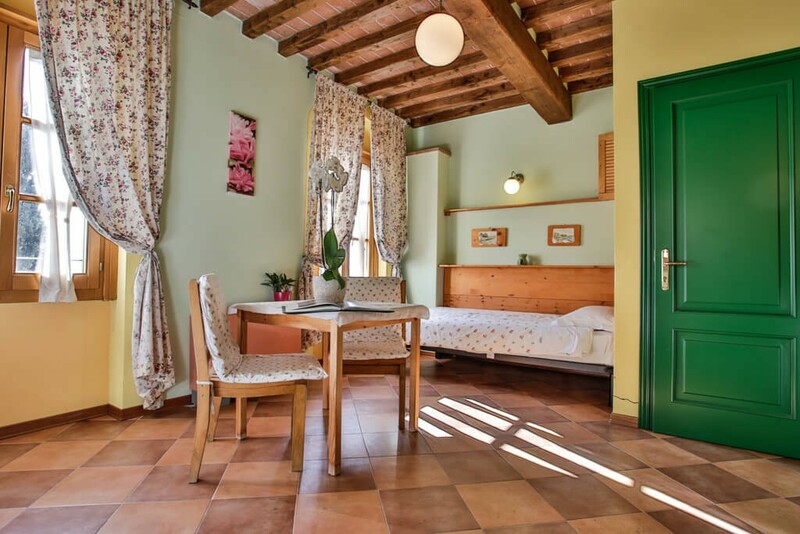 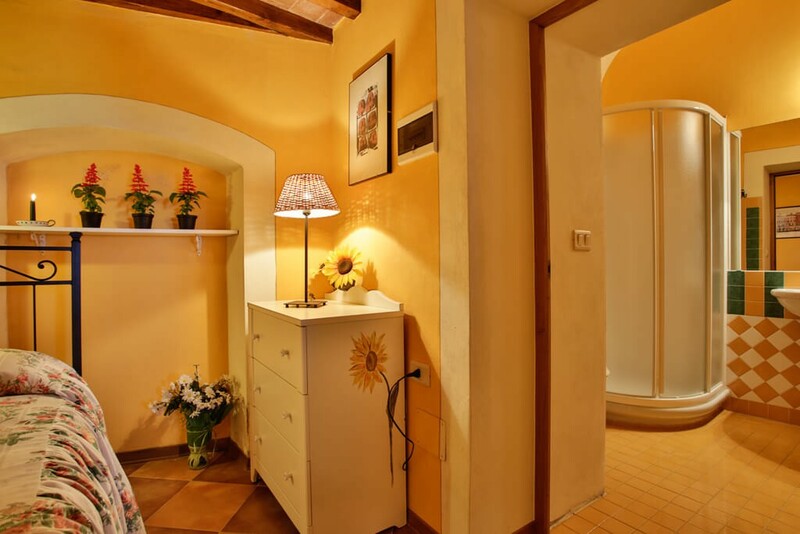 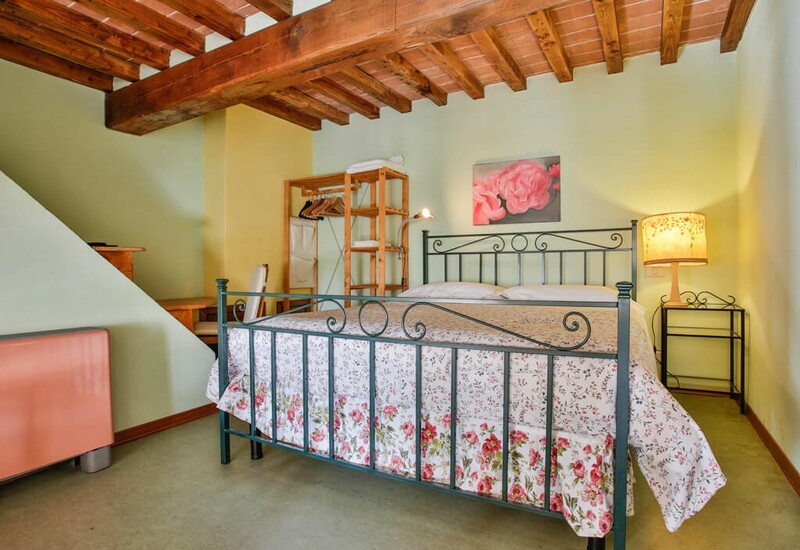 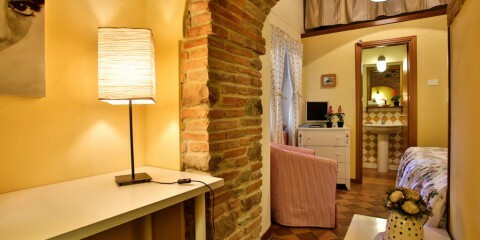 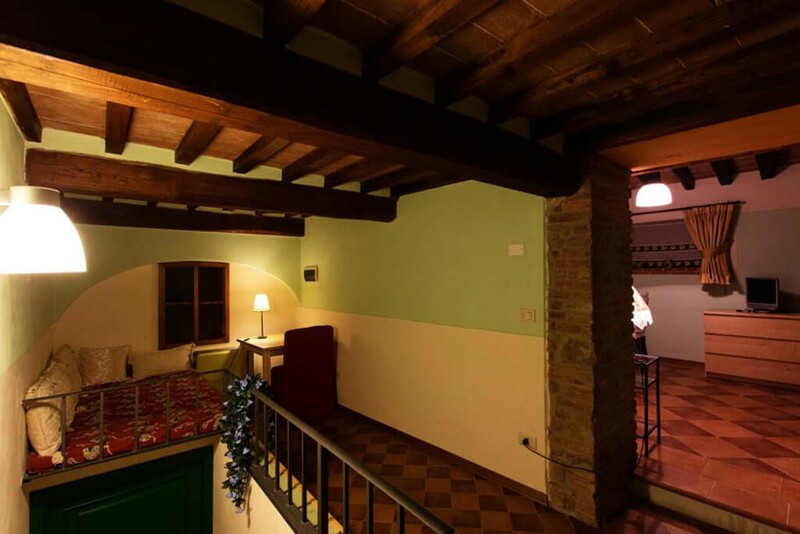 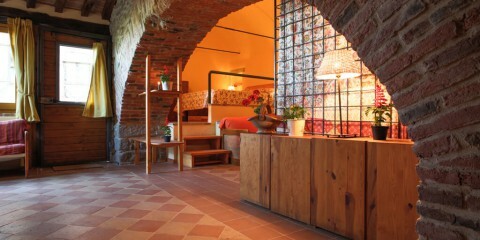 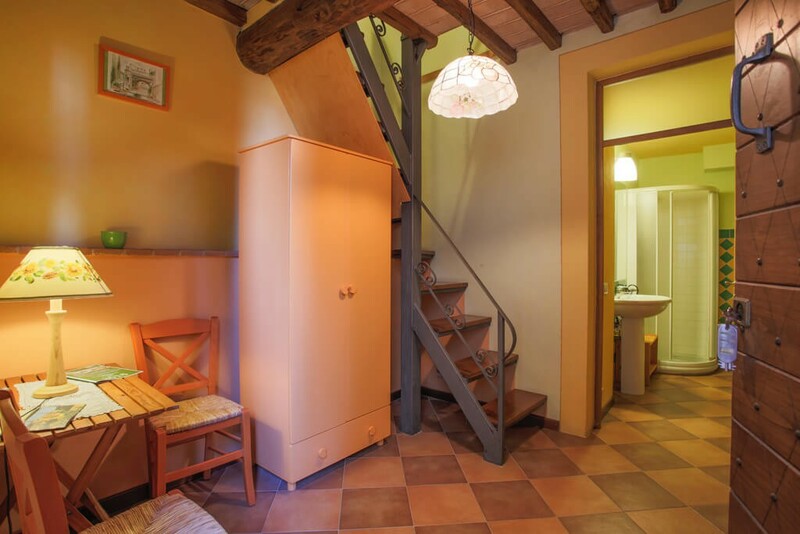 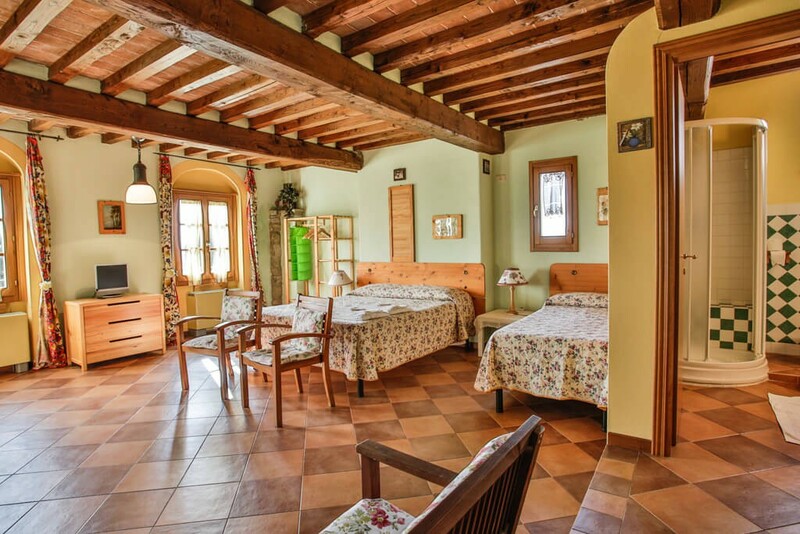 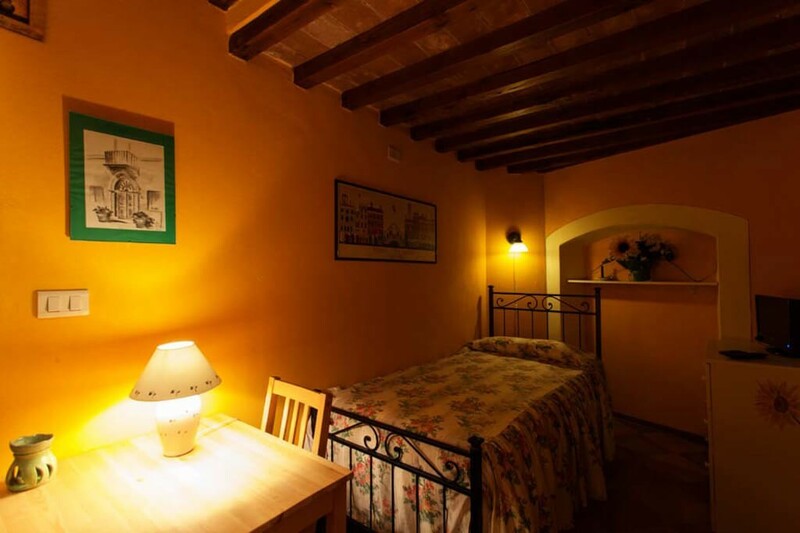 The meticulous renovation of the ancient convent has led to the creation of cozy rooms with the characteristic tuscan style, with private bathroom and furnished in a simple and comfortable way. 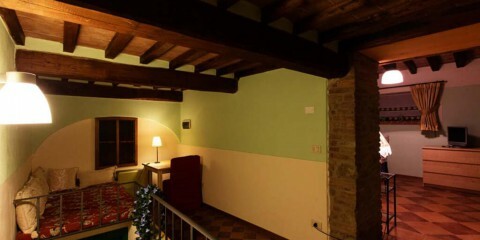 In bringing to light the ancient splendor of the building, has been paid particular attention to the original details, which have been enhanced with materials and furnishings that respected the harmony and elegance of the place, with a unique and charming effect. 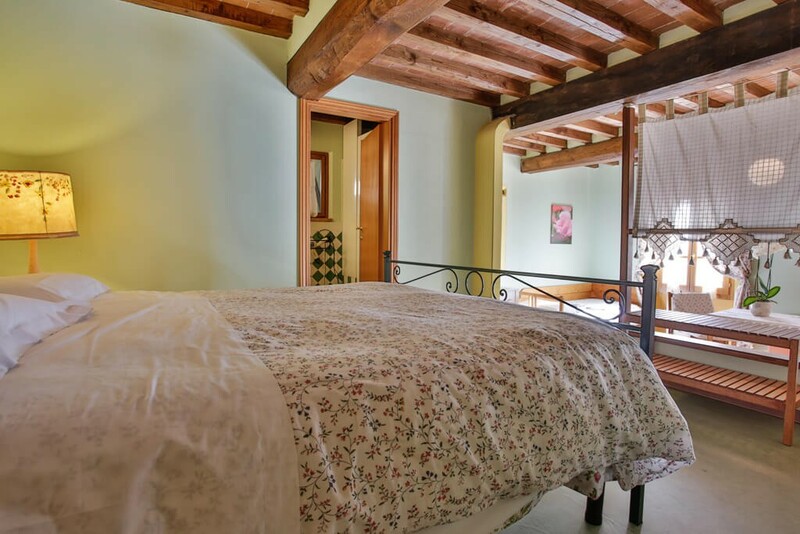 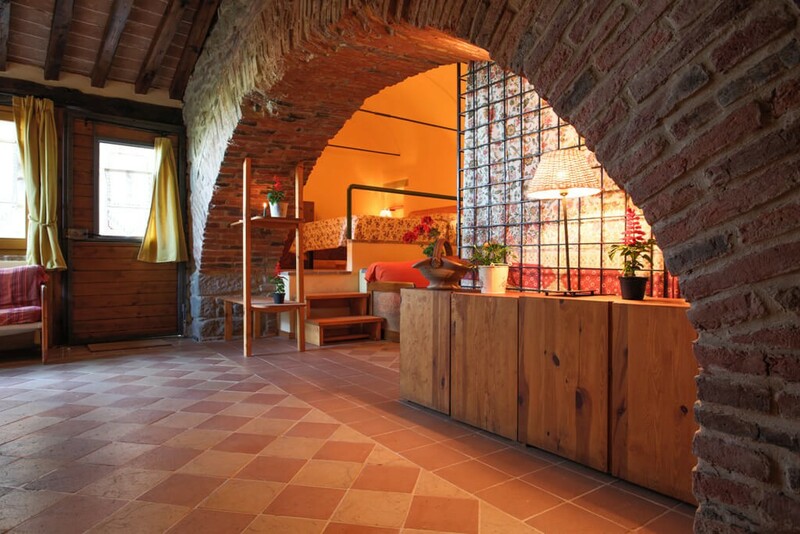 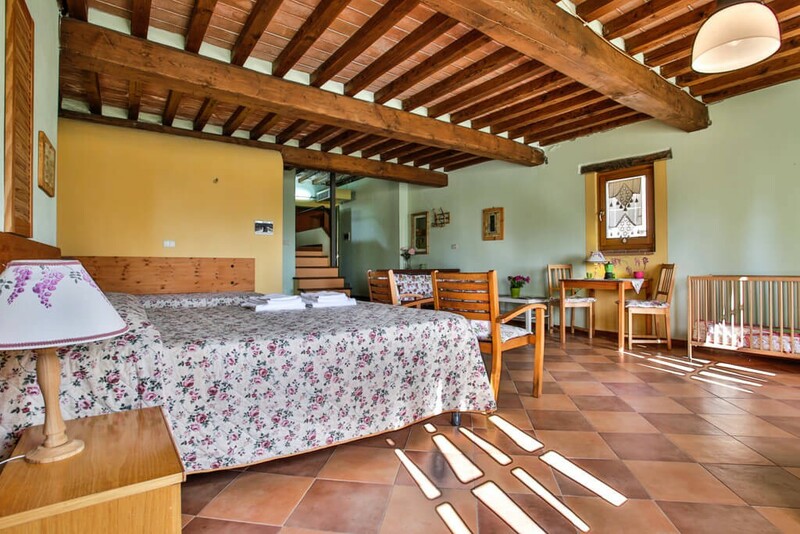 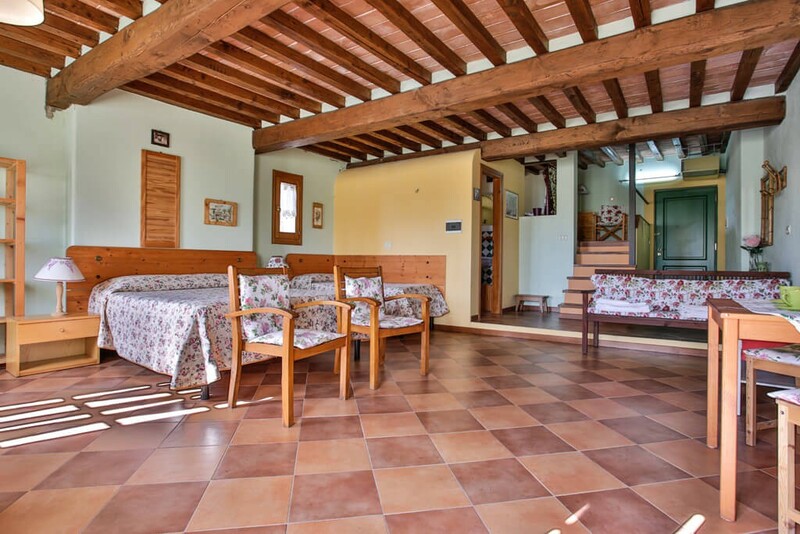 The rustic wooden beams, stone arches and the floors evoke the unmistakable atmosphere of country houses in Tuscany, characterized by a particular style and atmosphere. 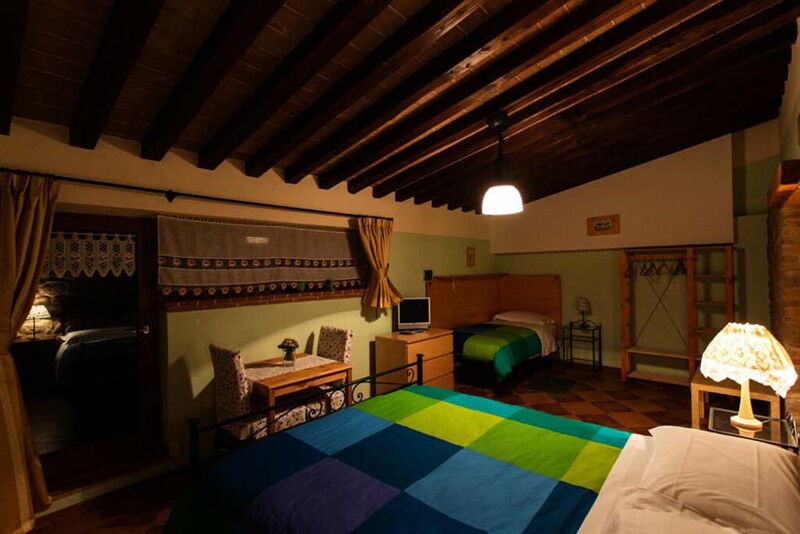 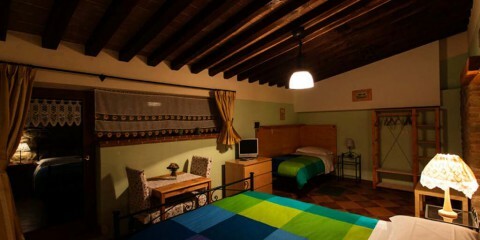 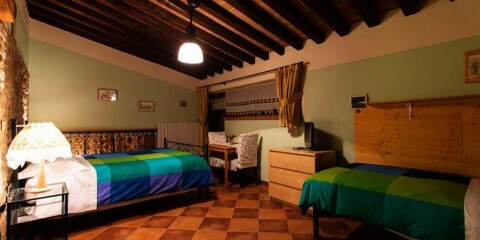 Residence Le Santucce offers 8 rooms different from each other, each distinguished by a unique personality. 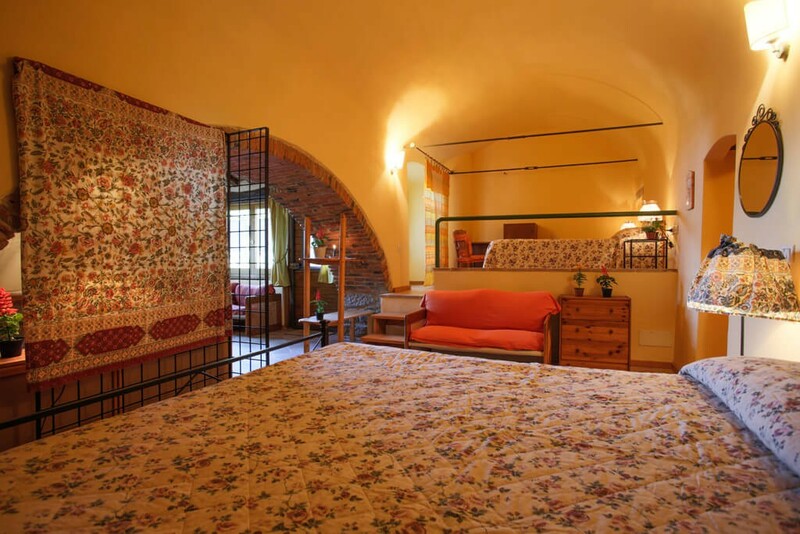 The particular structure of the ancient convent has allowed the construction of rooms obtained from spaces modeled in the centuries after countless vicissitudes. 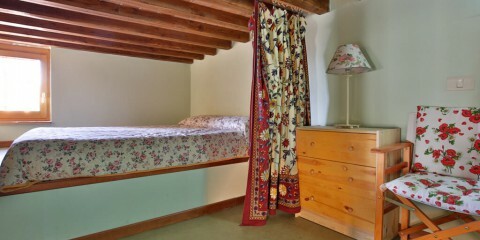 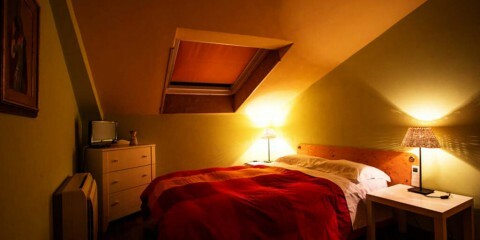 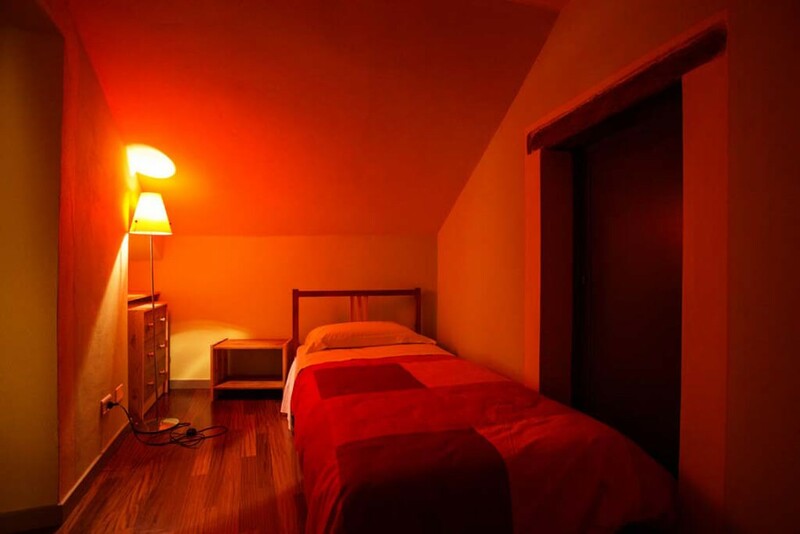 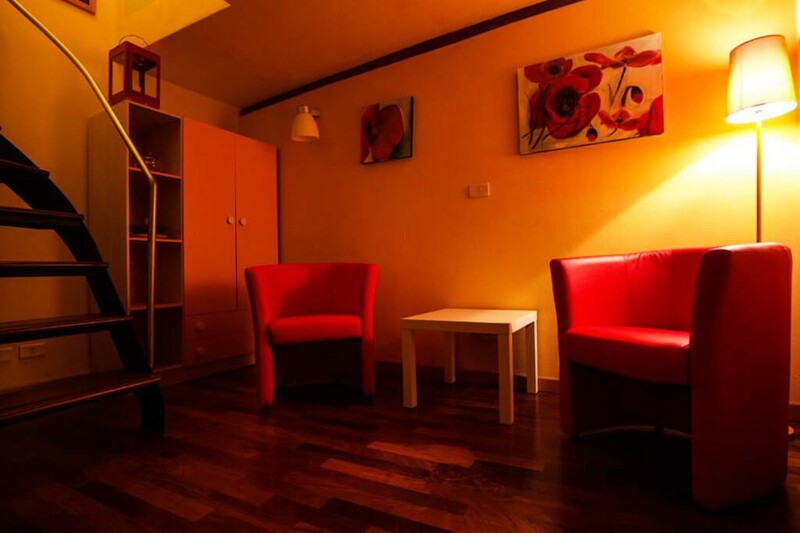 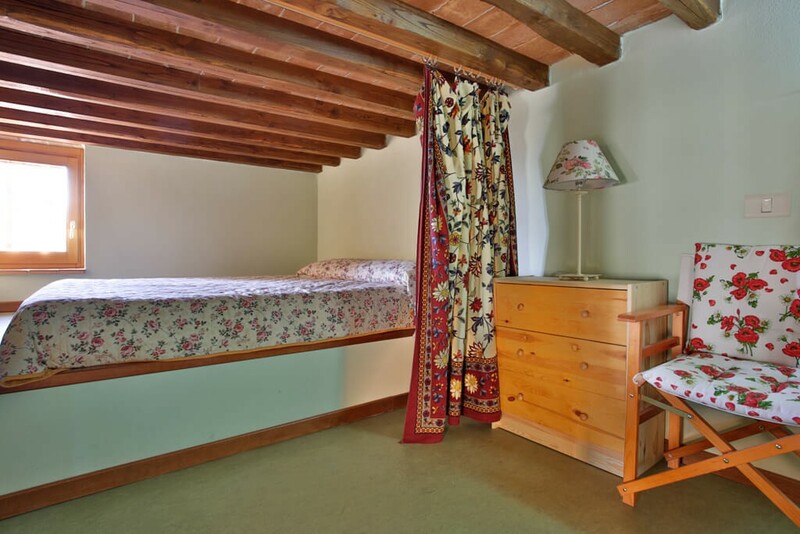 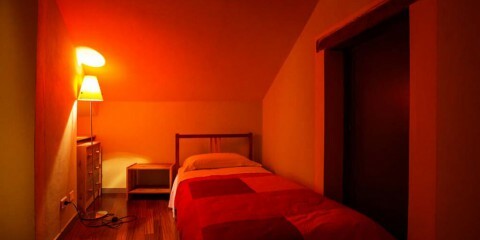 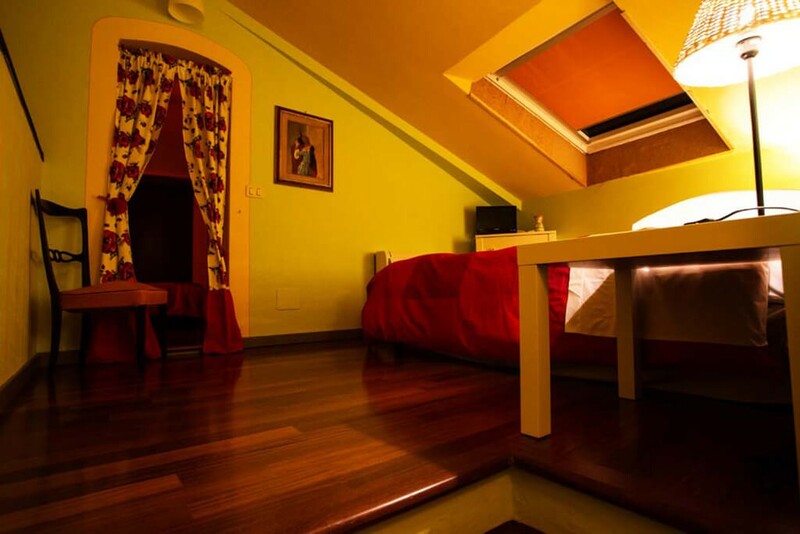 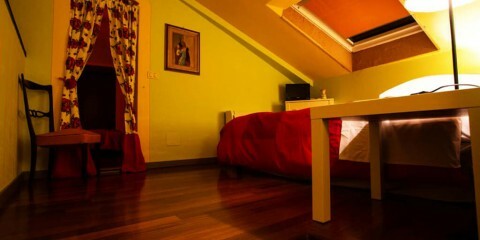 This is why each room has its own structure where the suggestive atmosphere that you breathe remains unchanged. 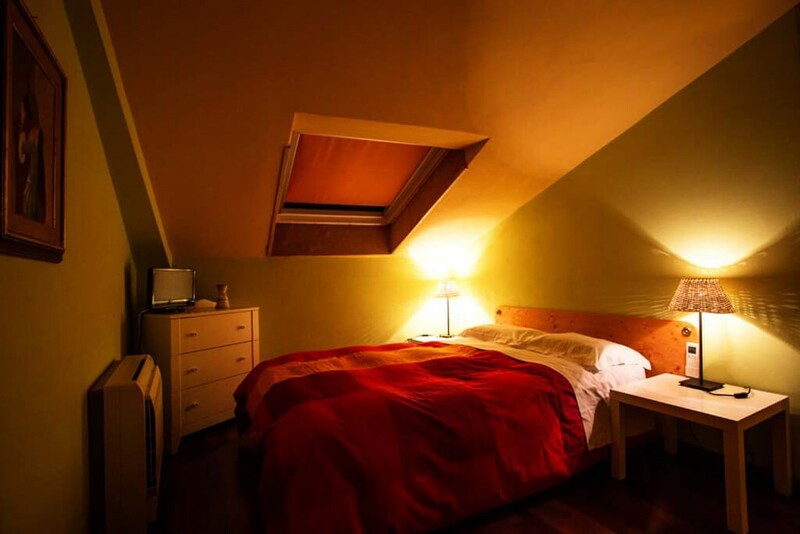 Attics, lofts, mezzanine, sitting hidden in secret corners, windows in the roof, balconies: each room is a small wonder to discover. 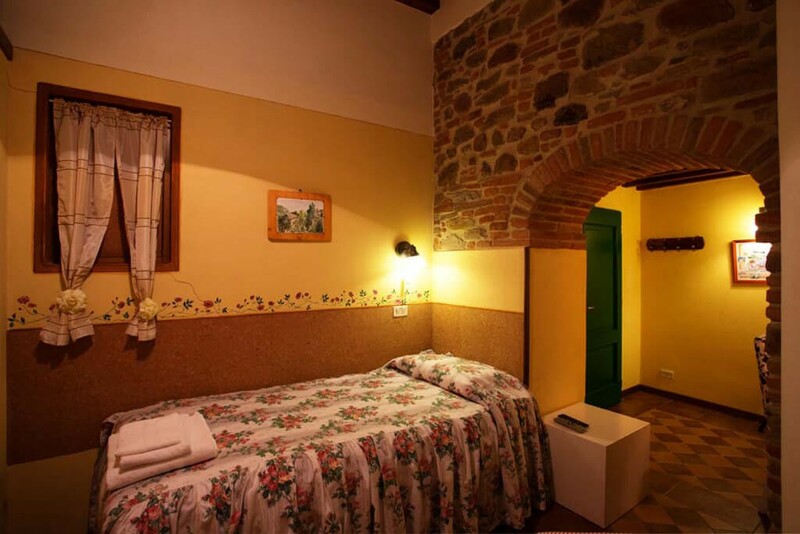 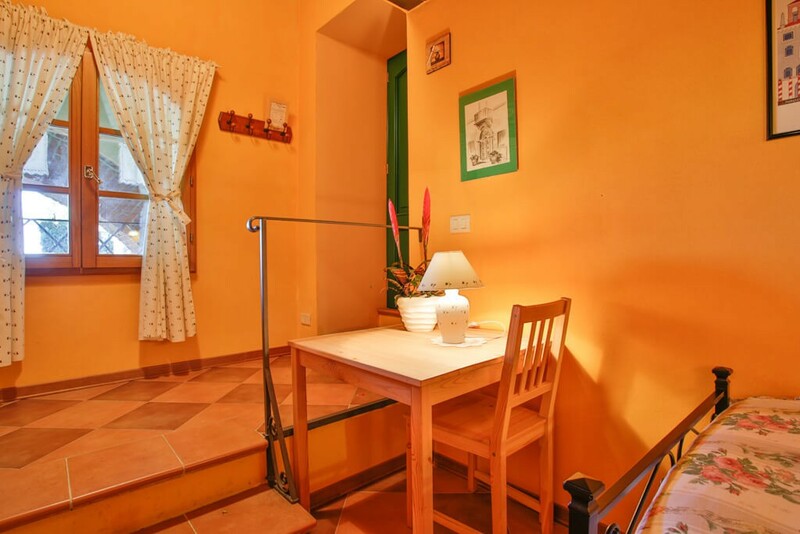 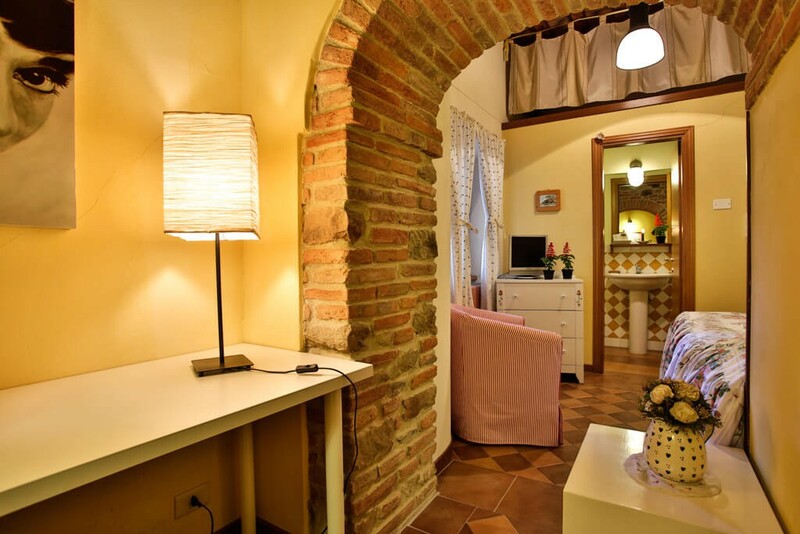 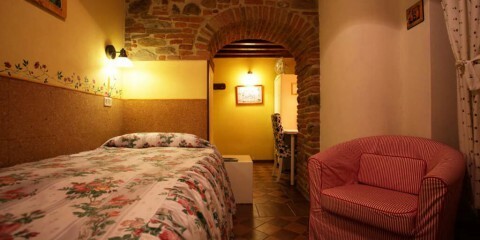 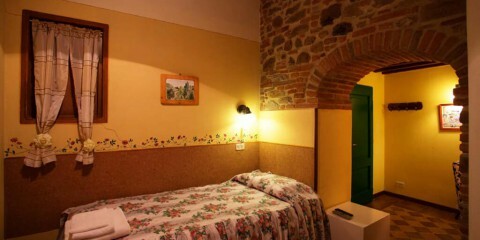 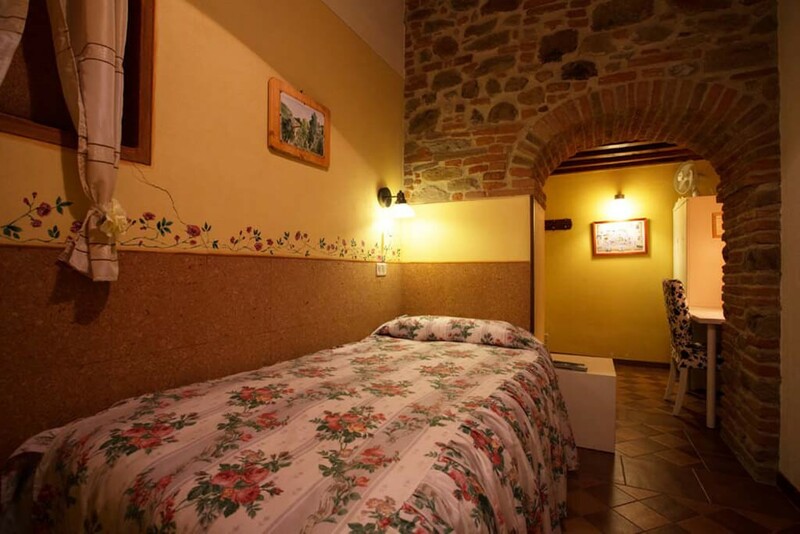 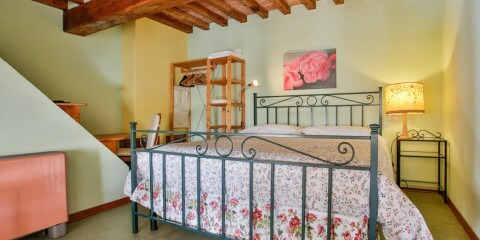 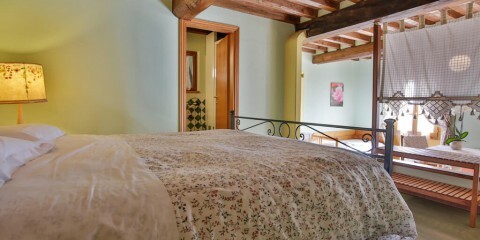 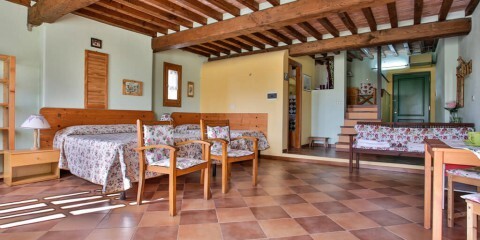 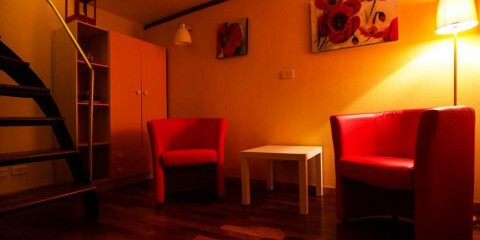 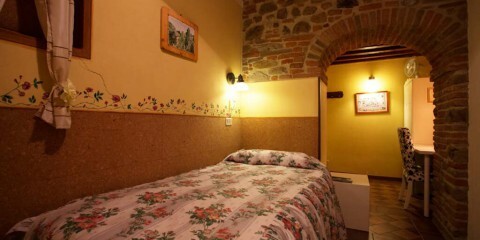 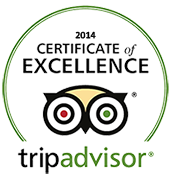 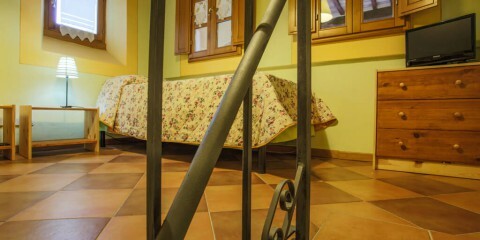 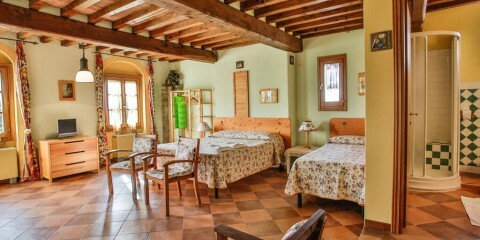 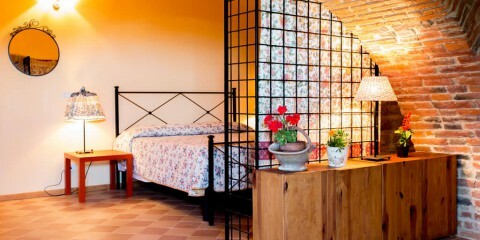 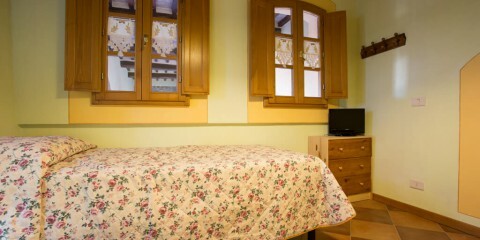 The special feature they have in common is that from each of them you can enjoy a wonderful view of Valdichiana. 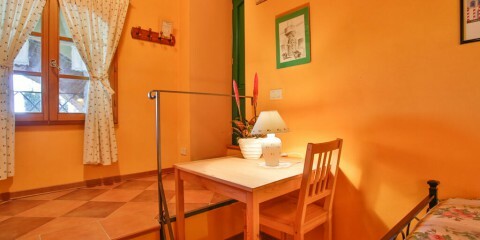 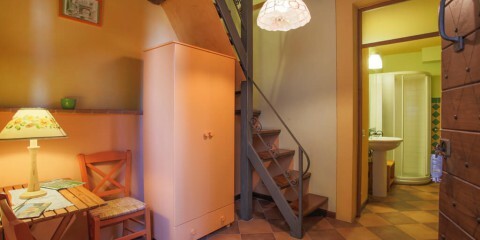 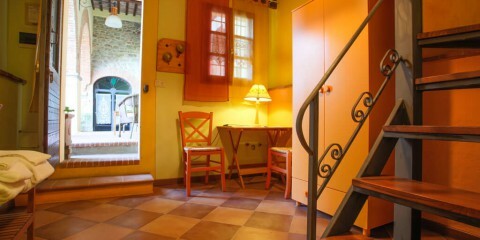 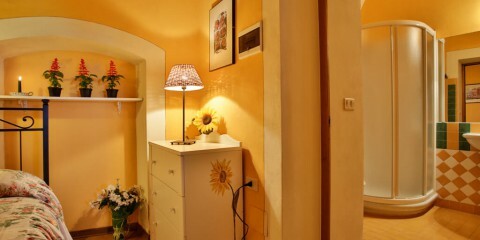 On request you can have breakfast that will be served in the characteristic Breakfast Room.